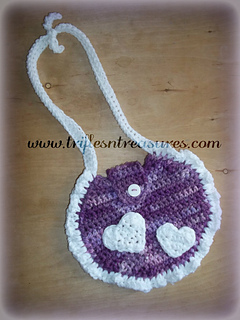 Sweet little purse for any little darling! Button closure, and pretty, ruffly edges make it oh-so-girly, too! Instructions included for heart appliques, as well.